Subscribe to get deals from hundreds of merchants including the best of Body Wellness! Oops! Looks like there are no active promotions for Body Wellness. Prior booking is required, subject to availability. Please call your preferred outlet and mention promotion code ‘BWSAFRAFC’ or BWSAFRABM for appointment.. Valid for first time customers aged 23 years and above.. Valid for Singaporean/PR/EP/SP/DP holders only.. Prior booking is required, subject to availability. Please call your preferred outlet and mention promotion code ‘BWSAFRAFC’ or ‘BWSAFRABM’ for appointment.. Promotion is valid with a minimum of 2 individual customer bookings.. NRIC and SAFRA membership card has to be presented upon appointment.. Limited to one time redemption per member only.. 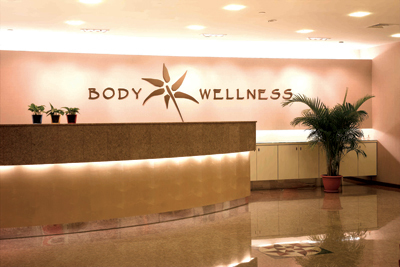 If treatments are unsuitable, Body Wellness will endeavour to offer alternatives.. Not valid in conjunction with other promotions, privilege cards, discounts, promotions and/or vouchers, unless otherwise stated.. Not applicable to existing Body Wellness and Royal Secrets Beauty Indulgence customers.. Not exchangeable for cash, products or services not stated in the voucher.. Body Wellness and Royal Secrets Beauty Indulgence reserves the right to amend the terms and conditions of this promotion without prior notice.. Please present valid SAFRA card in person upon ordering or purchasing of product(s) or service(s).. Not valid with other promotions, privileges, discount cards and promotional vouchers, whichever is applicable.. SAFRA is not an agent of the merchant. Any dispute regarding the quality or service standard must be resolved directly with the respective merchants. SAFRA will not assume any liability or responsibility for the acts of the merchants or any defects in products or services offered in the promotion.. Please always check with the merchant on the validity of the promotion before purchase.